Crispy cubes tofu with plum sauce. Wonton wrappers filled with a savory ground chicken and shrimp. Crispy roll stuffed with mixed vegetables and glass noodles. Choice of chicken or vegetable. Grilled marinated chicken served with peanut sauce and cucumber salad. 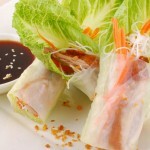 Vegetables and shrimp wrapped with rice paper. Wonton wrapped with imitation crab meat and cream cheese filling. Tender beef ribs grilled with B.B.Q. sauce. Batter and lightly deep fried calamari served with plum sauce. 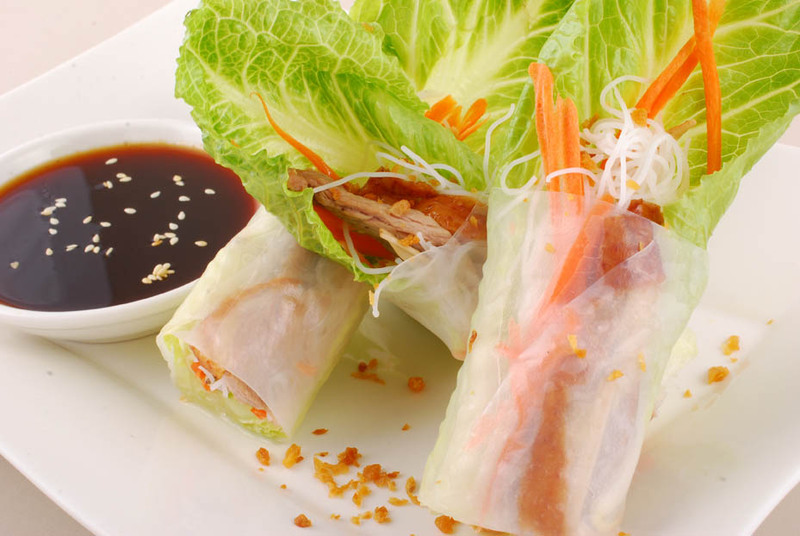 Duck and vegetable wrapped with rice paper. Fresh cube tuna mix with Thai chili lime juice served with crispy wonton. Deep fried shrimp with coconut flake. Battered and lightly deep fried shrimp and assorted vegetable tempura. Grilled lamb chop topping with garlic and pepper.